ADABOX 008 is all about building #robots! JOIN NOW! Today’s Robot Archaeology #MakeRobotFriend is Weebo! @adafruit « Adafruit Industries – Makers, hackers, artists, designers and engineers! 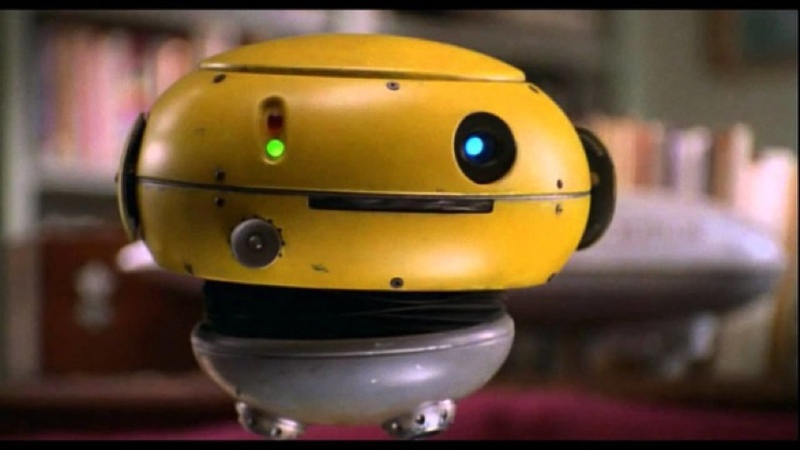 Today’s robot is Weebo from Flubber! Disney.wikia – As a floating robot in yellow, black, and gray colors, Weebo has eyes that have a different shape and possesses light. When she expresses, she shows segments of many actions and feelings on her LCD screen when it opens. For example, she shows the segment that has Doc from Snow White and the Seven Dwarfs sleeping in a sink. She has the ability of flash photography like when she once takes a picture of Flubber. She also can make a holographic projection in the form of a human spirit named Sylvia (with a white dress on it). Check out Edward Zarick’s detailed build log for his animatronic Weebo! Why don’t you try building your own and sharing with us? Grabbing an Adafruit CRICKIT might be a good place to start!